“Many buyers and sellers are skeptical about salespeople. So am I! But, I am not a typical salesperson. I put myself in your shoes and help you make decisions based on how I would want to proceed if I were you. In other words, what steps would I take and what is right for you? How will this transaction be beneficial for you? How will it help you move forward with your goals? How can I make it as smooth and pleasant as possible? What is in your best interests as we move forward? 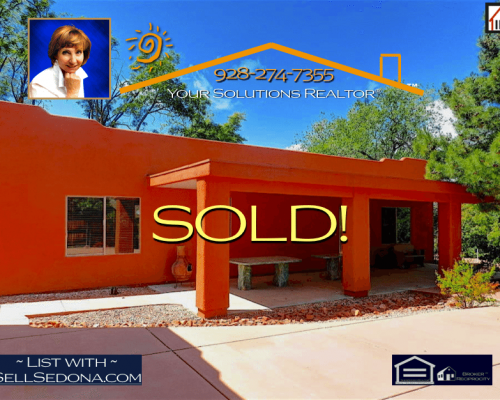 As an experienced Sedona Arizona REALTOR®, I will assist you in all aspects of buying or selling real estate in the Sedona Verde Valley area. I am Your Solutions REALTOR®. What does that mean for you? It means that I will help you navigate your journey through the entire real estate process. In other words, tailoring solutions for your specific needs, concerns and challenges. Whether you are buying or selling property, the EXPERIENCE is all about you! 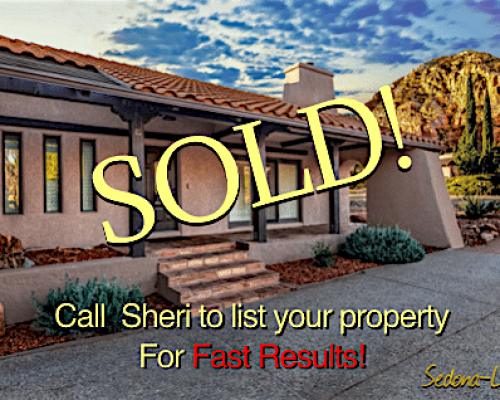 For buyers & sellers – My goal is to make this process as easy and stress free as possible. I partner and network with the people who understand what world class service is all about. 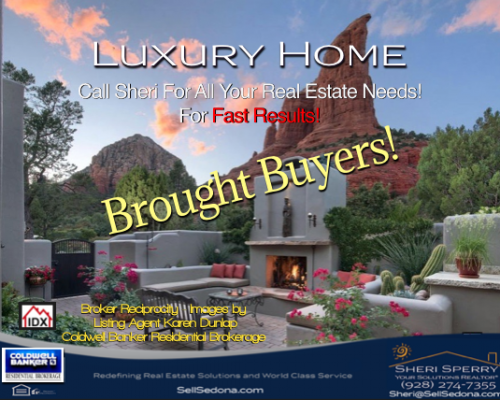 I am the Past-President of the Sedona Luxury Real Estate Professionals and have been dealing with real estate for over 40 years. I am also a “Rainmaker” with ActiveRain – <See definition here> . I am the #1 contributor in the Sedona area with ActiveRain. Discover additional information about me on ActiveRain. My areas of expertise include, Luxury Homes, Land, Condos, Town Homes, Ranches & Horse Property, Golf, Vacation & 2nd Homes, Relocation with on demand Expert Professional Real Estate Photography (in house), State-of-the-Art Marketing (in house) Social Networking – FB – Twitter – Pinterest – Linkedin – & more. I also provide recommendations/referrals for local services. You can count on me from the beginning of your home search through the closing and beyond to help you with your specific needs. 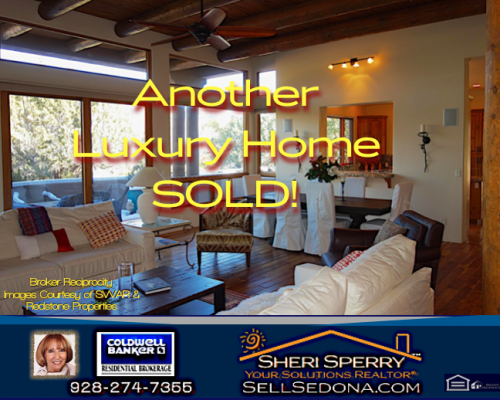 I am a complete service Sedona Arizona REALTOR®. I work with the home inspection operation. Through out the process, I am your representative and advocate. I will recommend only the most qualified experts to inspect and make repairs. When it comes to contractors, I have the necessary experience in dealing with every facet of the home building, remodeling and repair industry. From plumbing to electrical, roofing to HVAC systems, designers to landscapers and painting contractors, together I will give you choices that will make rainbows shine where clouds may have been! If you cannot be present for inspections, you can count me, on your behalf, to pass your instructions and concerns on to the proper people who can make those instructions and concerns actionable. Always rest assured that I will follow up and report back to you as the process proceeds. If concerns surface, together we will find the right solutions to make this journey as smooth as possible. More solutions for buyers – I am a real estate “junkie”. I watch the market closely and listen to what you, the customer, is saying and what your needs are. I am a Master Certified Negotiation Expert (MCNE®) and will get you the best price that can be negotiated. As we move through the process, you will see the benefits of why you picked me to help you buy your home. I understand what needs to happen during the inspection period and I work with the top mortgage & escrow people, inspectors and other support services in our area. Buying property can be confusing and stressful, this is where I stand out above others. Let me show you how I take the confusion and worry out of the process. I am sure you will be happy you choose me to help you. What are the amenities and features you are looking for in your perfect place? 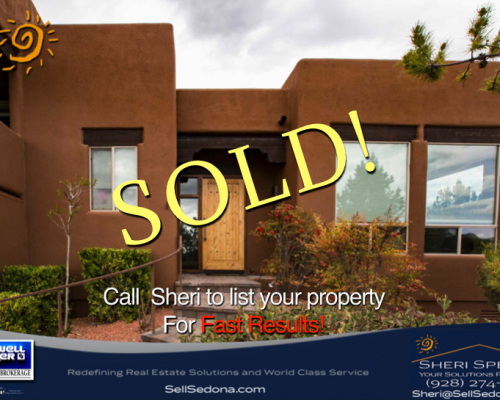 More for sellers – I understand the market and will position your property to sell and help you get the return and outcome you desire. As a Master Certified Negotiation Expert®, your home will experience a faster sales cycle and higher net profit. My marketing skills are unparalleled. My “in house” marketing team includes professional photography services as well as web & graphics design for state-of-the-art marketing campaigns. Let me do a no obligation presentation for you. I am confident you will see the benefits I can offer. My marketing expertise and syndication is unsurpassed. Get to know more about me on a personal level and “Why You Should Choose Sheri” at Sheri’s Corner” ! 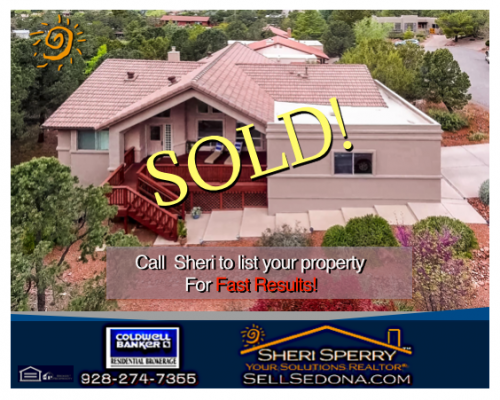 Sheri Sperry recently sold our rental home in April after the home had been on the market over a year. 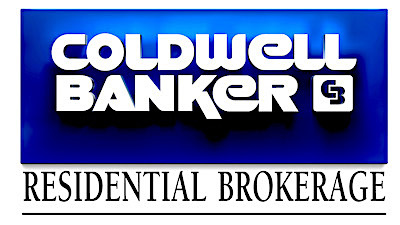 She was very professional and worked patiently with us giving us hope that her methods and ideas would sell our home. 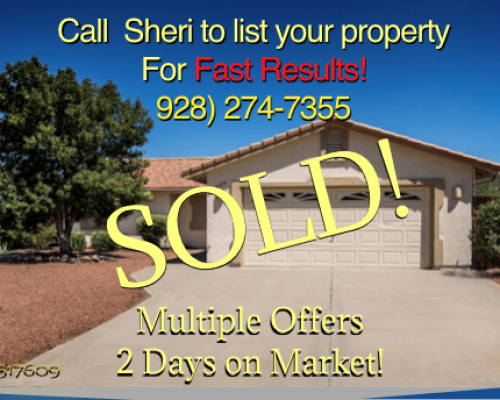 She communicated well and let us know what we could do to attract buyers. 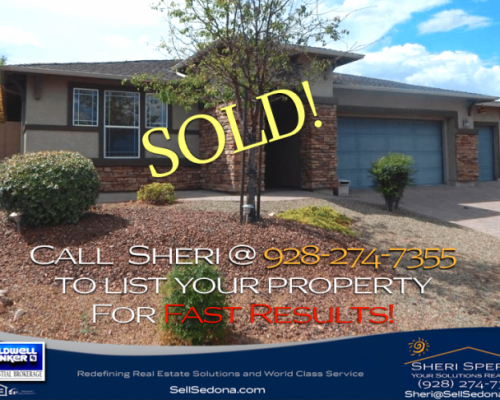 We are grateful for her expertise and experience as a realtor and so happy that we chose her to sell our house. 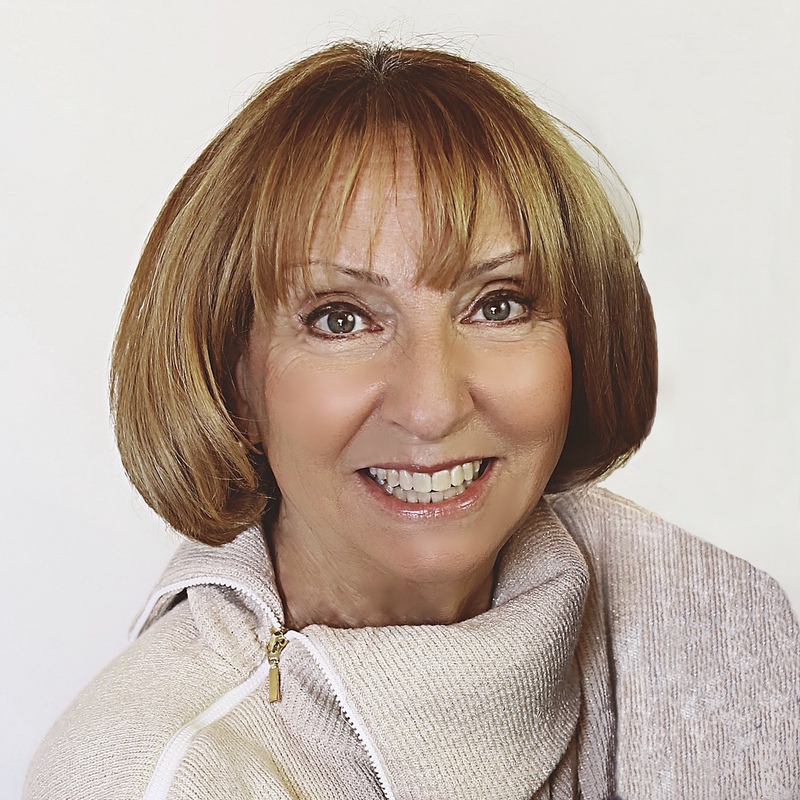 We highly endorse her as the best REALTOR® we found selling our property. The Cottages At Coffeepot – are a one-of-a-kind enclave! Welcome to the true Sedona lifestyle in the Cottages at Coffeepot.The Cottages are a one-of-a-kind enclave tucked under Coffeepot Rock, of 34 homes on 10 acres including pool, covered ramada with indoor/outdoor furniture, BBQ area, tennis court and park. Images are included below. With-in a 4 minute drive up Soldiers Pass, you will find Posse Ground Park, There is a city plunge with water slide and a covered area. Also included, are baseball diamonds, basketball courts, soccer field. playground, covered area for picnics and a skate park as well as a Bike Skills Park. Barbara Antonsen Memorial Park was also recently completed. Where as the Sedona Cultural Park was too big to maintain, “Barbara’s Park” is the right sized venue for cultural events and concerts for the size of our town. 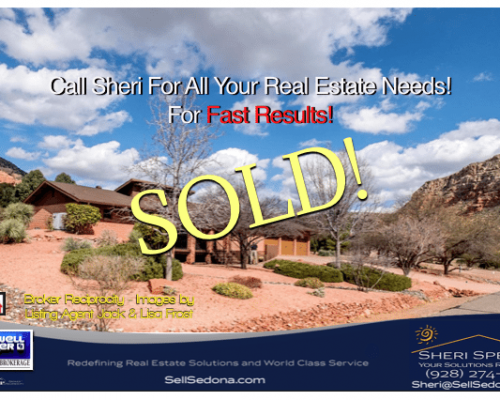 Sheri Sperry featured this luxury home on the 90 minute video on Red Rock TV (Sedona.TV) – channel 16 on Sedona’s local cable network featured . The video runs continuously 24 hours a day and is about 90 minutes long. 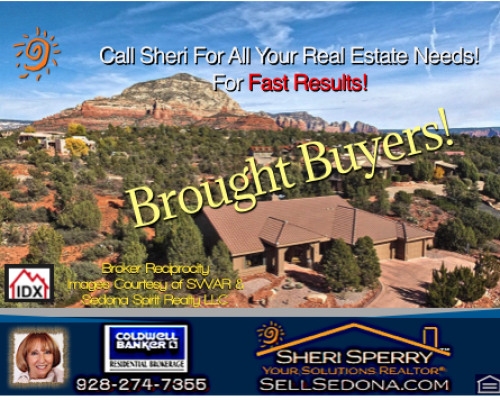 Sheri Sperry Coldwell Banker Residential Brokerage kicks off the West Sedona Segment. A Dynamic team that built the unique community – Cottages at Coffeepot. Phil Morris is “Sedona’s Premier and longest established custom home builder.” His roots go back to Sedona’s original settlers. If you speak his name, those around you will no doubt, associate “Morris” with quality, luxury and integrity. Don Woods has been a resident in Sedona since circa 1969. He has designed well over 200 homes in our local area and several commercial buildings, including Junipine Resort, Heartline Café and Sedona Racquet Club. Signature elements in his designs are the use of glass with floor to ceiling windows. Cathedral/vaulted beamed ceilings with outdoor overhangs. This brings the outdoors inside. Since the 1980’s his open floor plans with the fireplace as a focal point of the room have been well received. I spoke to Don Woods in 2017, and he told me that the Cottages At Coffeepot were one of his favorite projects throughout his career. In the images below, see if you don’t agree in the signature elements of a Don Woods design. The aerial footage below will give you a glimpse of how compact these cottages are and the views that each one has. Notice how this unique enclave sits at the base of Coffeepot and is surrounded by forrest land. The pool and tennis courts are also visible. This completely remodeled 2 bedroom, 2 bath with separate den is in its own park-like setting with lush gardens. Interior is understated richness & includes dark hardwood floors & cabinets in main living areas. Light & bright bathrooms, with master showcasing glass tiles, white cabinetry, hidden outlets in mirrors at dual sinks with granite counter & Toto toilet. View extensive amenity list below. Specific upgrades and name brands PDF to be attached soon. Light fixture above dining room table does not convey. Listing Agent will present this property by appointment only. How is the weather in the Cottages At Coffeepot? Visit this link for a summary of the complete weather cycle in the Cottages. If you study the charts and look at the number or cold and hot days as well as the days with sunshine, you will see that you can’t get much better weather and also enjoy a four season climate. Check it out here! A question often asked is “How far are the medical facilities located?” The intersection of Soldier’s Pass & SR 89A is the start of all the businesses located in Sedona. Besides the Whole Foods at that corner, there are two banks, restaurants and professional services which include, doctors offices, eye care and surgery, dentist and lawyer’s offices as well as other professional services. Within 5 minutes of that corner are all the services you may possibly need. 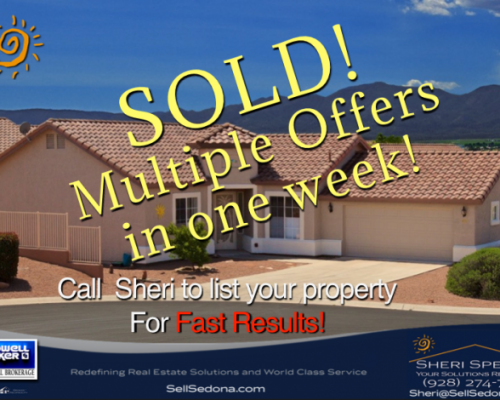 If you need any specific questions answered please reach out to me through my cell phone 928-274-7355 or email me at sheri@sellsedona.com . To learn more about the Cottages At Coffeepot and current market conditions, click on the title below. 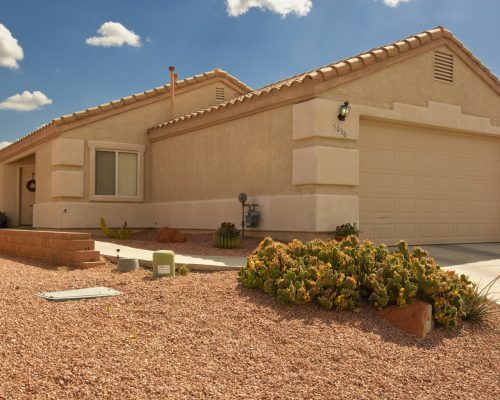 Pristine 2-story home in Clarkdale is only 3 years old with beautiful outdoor water feature, low maintenance yard with solar panels to reduce home energy cost. Bask on upstairs deck & enjoy the views. This Energy 5 Star Certification home has 4 bedrooms, 3.5 baths with upstairs AND downstairs master bedrooms – each with private baths and huge walk-in closets. The 9′ ceilings are on both floors & include an upstairs study area. Spacious kitchen includes Birch cabinets, Quartz counters, stainless appliances, tile floors & island that opens to the great room with fireplace + view of exercise pool. 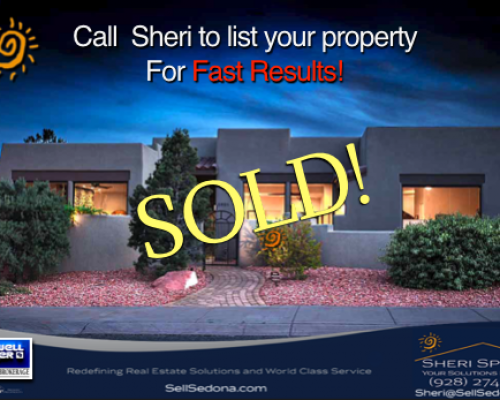 Close to medical center, big box shopping, Old Towne Cottonwood & 40 minutes to Sedona. Great home in great neighborhood at a fabulous value! Starting with gorgeous new kitchen, the larger windows capture iconic red rock views of Bell Rock, Courthouse Butte and Castle Rock. Stunning custom white cabinets, tile back-splash, rich looking granite counters & 5-burner gas stove complete this efficient kitchen. Wood-look tile flooring throughout leads to the totally updated bathrooms. Owner’s dream master bedroom has a walk-in closet & walk out to back deck. The en-suite which was totally reconfigured, has dual sinks, linen cabinet, granite & stately white cabinets. White shutters & Hunter Douglas window coverings add to this interior renovated home that current owners put so much detail in. Back deck has the same iconic red rock views & steps down to the back yard that has endless possibilities. Large enough for pool and/or spa + gardens or game area. For the pet lover there is a doggy door + ramp a covered area. A fabulous opportunity to own a custom home in a beautiful, private setting in Sun Up Ranch. This stunning contemporary Southwest style home has amazing views and sits on 1.07 acres. Great for entertaining. As you walk through the inviting entry, you will see the custom fireplace. Just beyond is the fantastic back patio area set in flagstone and pavers with the meandering salt water pool and spa. fire pit, and large BBQ island. The recently expanded guest wings a mother-in-law suite with a huge spa-type bathroom and a separate side entrance. The separate master bedroom wing has a kiva fireplace with auto starter and huge jetted tub and steam shower- plenty of room!. The kitchen has 14′ ceilings with Jenn-Aire stainless steel commercial grade appliances, including a warming tray. The roof was recently upgraded and the outside recently painted. No HOA dues. 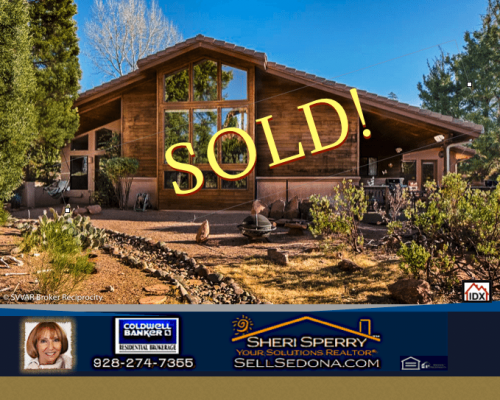 Live the “Sedona Dream” – This home was listed and sold by Sheri Sperry Coldwell Banker REALTOR®. A rare single level custom home with high-end finishes. All 3 bedrooms have private baths, a welcomed feature in any home. Home features solid teak wood flooring in the great room, dining room, and office/den areas. The over-sized garage includes excellent storage with a circular driveway. This gated community of Casa Contenta includes a pool, tennis courts and a community center. Surround yourself with beautiful views from several different rooms and patios. 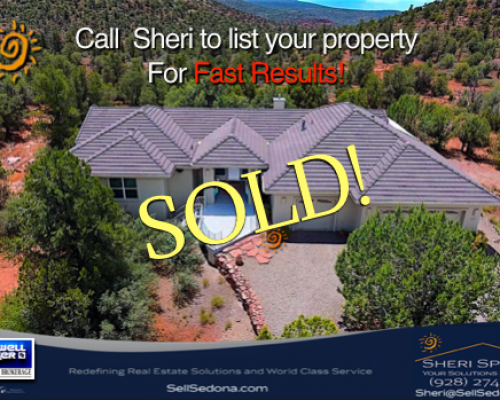 This prime location is off the incredible Soldiers Pass Corridor of Sedona. 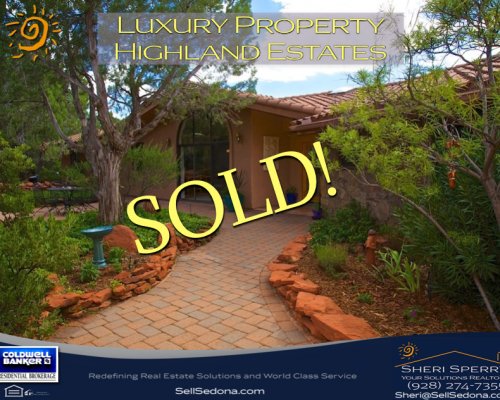 Another Sedona Luxury Home SOLD and CLOSED! The special feature of this lovely home is that it sits on a knoll and has 2.5 acres of land. The pool is an added bonus. It is very special when you can find a home with views in onel directions. Finding a home that has unobstructed views in all directions…. well that home needs to be sitting on top of a hill! Elevated location for that extra privacy and views out to the red rocks of Capital Butte, Thunder Mountain and Coffeepot Rock. There are 3 bedrooms and 2 baths with 2347 total square feet. Glass doors in the living room lead to the outdoors, where there is plenty of entertainment space and a beautiful newer pool to enjoy through the extended months of spring, summer and fall. A tree car garage gives you plenty of opportunity for storage, a workshop area or that third car. This home is a perfect place to enjoy those outdoor views of clouds, other weather or monsoon rolling in. You will enjoy the hot air balloons that are very visible from this property. As you enter this almost 4000 SF Southwest home, you immediately feel the large open interior space with large custom windows created especially to take advantage of all the views this multi level property has to offer. The first floor has all main living including a spacious master suite with an entrance onto the covered patio where you have views of Coffeepot Rock. The kitchen has all the amenities a chef could want or use. Most important, lots of granite counter space and cabinets with pantry for storage. The window was built to frame Coffeepot Rock. Though not unusual in a custom built luxury home, it is always a welcomed feature. The upper floor features a patio with red rock views. There is a bonus/den/loft room with an additional full bath and and 2 guest bedrooms. This Luxurious Enchantment model brings the outdoors inside in a number of ways. First of all, there is an enclosed courtyard at the front of the home that is perfect for outdoor entertaining. A separate Guest Quarters with a full bath sits on the front of the home plan design. As you move inside a great room with tall ceilings and walls of glass make you feel like you are outdoors. But wait! The garden side of the great room has a wall of glass that opens completely to let the outdoor in. The views at the back of the home are panoramic and take in Boynton Canyon. The covered patio is a great escape to have a morning or evening beverage. Enjoy the custom made water feature as you take in the sweeping views. If views, privacy and a feeling of being on top of the world excites you, this is your property! 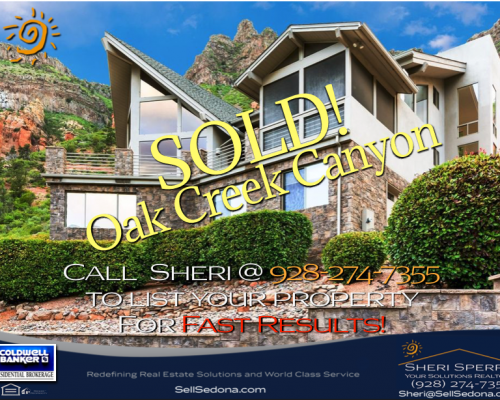 The vistas that this unique Oak Creek Canyon real estate offers are impressive to say the least. Every season will paint a different canvas that you will be eagerly waiting for. Your privacy is enhanced by the gated entrance to the meandering driveway that leads you to a stunning view from below that is showcased in the red rocks. The building pad was meticulously placed on this 1.84 acre terrain to capture every ounce of Mother Nature’s beauty as it enfolds each day of the year. The property backs to forest. The exclusive modern mountain design of this luxury home has uncommon features both inside and out; from the open layout and tall floor to ceiling windows to rooms opening to the tiered decks and patios, melds into the character of the stone wall and design feature that engulfs and surrounds the home. The home is 3 levels, with living/working space on each level. For your ultimate convenience there is an elevator, so no need to worry about 3 flights of stairs. Even the stairwell has windows to capture the views as you traverse between floors! 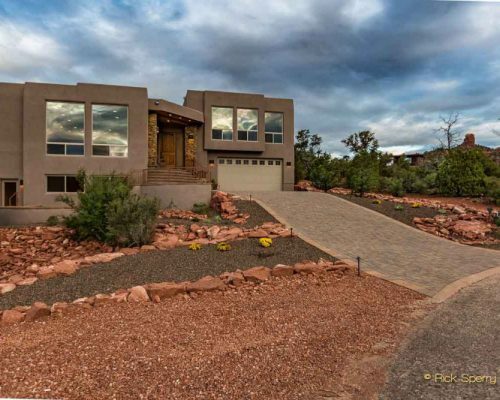 This 3 bedroom, 2.5 bath, 3369 square foot home offers you the ultimate canyon experience. Perched privately on a hill overlooking stunning red rock panoramas that stretch to Oak Creek Canyon is a luxurious 2600 SF home set at the end of a coveted cul-de-sac, minutes from Tlaquepaque and all conveniences. Custom built in 2008 with the finest finishes, this modern dream home is the perfect size for the discerning buyer. Designed for comfortable living and entertaining with 3 BRs, 2 full baths plus a guest powder room, and a fabulous flowing open floorplan. Voluminous 12-14 Ft. ceilings are complemented by walls of dramatic windows showcasing picture-perfect views and generous natural light. Two outdoor living areas also provide awe-inspiring red rock vistas: a spacious wrapping deck accessed by the kitchen and master suite, and a paver patio off the kitchen area and guest BR! If you are looking for Red Rock views, privacy, quiet peaceful tranquility plus abundant nature, you must see this property in the gated community of Highland Estates. 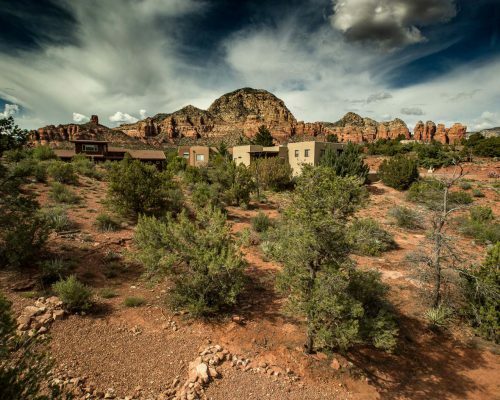 Multiple walking paths with native meditation gardens meander throughout this 1.13 acre property with views of the Red Rocks from every room. Addition to home in 2000 (approx. 500 square feet) currently used as art studio with fantastic morning light through the arched windows & separate entrance + views of Cathedral Rock. This could be an office, entertainment room, game room, art studio, music room – you decide! All on one story. Enjoy views from the multiple patios & decks – especially those sunsets. Architectural details include hand carved posts framing living room entrance & guest bedroom/office. 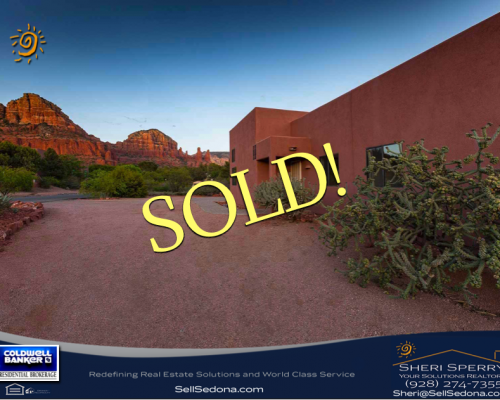 This Sedona Golf Resort home sold for a price of $325/SF while the Median Average Sold Price/SF was $255! 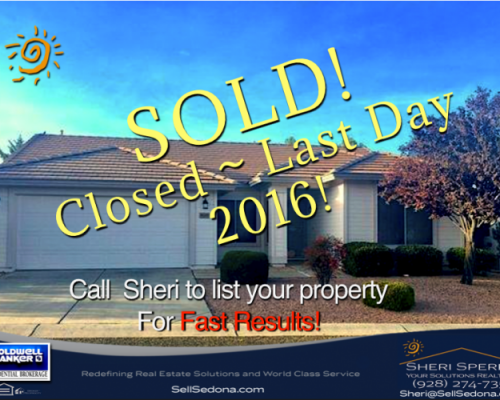 This was the highest Sold Price/SF going back one full year! 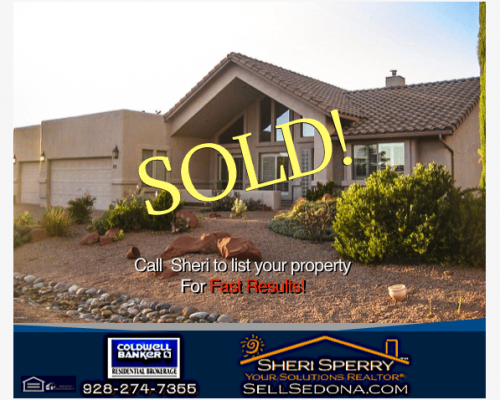 A top agent told Sheri Sperry that this house would never sell for that price…. 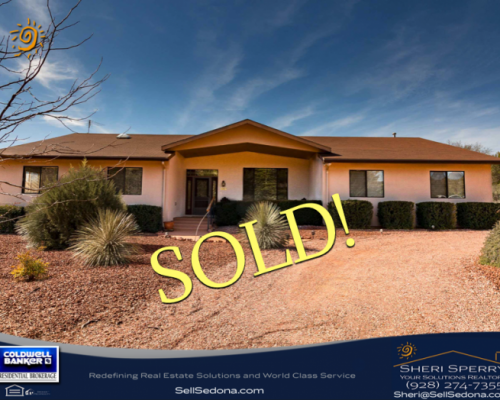 well, it sold! It pays to have an agent who understands your amenities and knows how to market. The proof is in the PriceSold andPrice/SF. 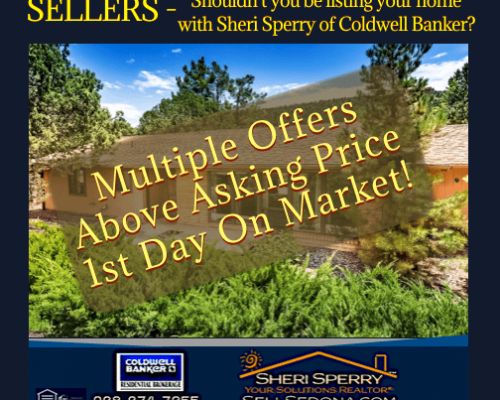 Shouldn’t you have Sheri Sperry of Coldwell Banker in your corner? You will have the best marketing and negotiation expert as your partner. Give her a call at (928) 274-7355. 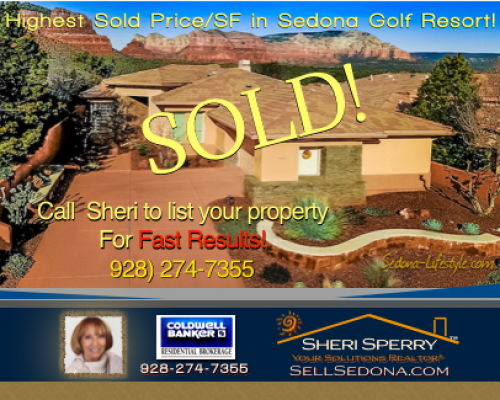 Whether you love the serenity of living on a golf course, the awestruck views of majestic red rock formations or you love to play golf or enjoy the amenities of the Sedona Golf Resort, this is the home for you! This golf resort residence at 205 E. Bighorn, Sedona AZ. 86351, sits on the 13th hole of the golf course. Enjoy unobstructed VIEWS from the back courtyard overlooking the golf course from this meticulously cared for home. This home could not be built today at this price, with all of the quality upgrades and view lot premium. This renovated two bedroom, two bath with den has been totally updated including kitchen cabinets, appliances & travertine stone floors which extend to the outside patio. Both baths fully renovated including granite counters, frameless glass shower enclosures, and Alder cabinets. High-efficiency windows replaced the originals throughout allowing for more cost-effective heating and cooling. Plantation shutters & Hunter-Douglas blinds in the living room along with Graber coverings in the dining room and den adds to this quality. HVAC was replaced in 2013 as well as the water heater. The fireplace also was renovated adding a hearth, granite surround & mantle. Please look at all the amenities listed below (scroll down). There is a PDF document that you can print located in “BROCHURES AND OTHER MARKETING DOCUMENTS” located further down. Nothing left to do but to move in! Information on Sedona Golf Resort can be found <here>. Imagine owning your own rooftop observation deck with iconic sunsets and sunrises of the famous rocks and landmarks of Sedona, including Cathedral Rock, The Chapel In The Rocks, Twin Sisters, Madonna and Child, Elephant Rock, and much more! Perched on a little hill with a custom private driveway, You will feel you are in your own sanctuary. As you enter your walkway, take in the dramatic views of Elephant Rock on your left. As you near the top of the stairway, you will marvel over the beautiful stain glass porthole and the custom designed solid wood arched doors with patina copper inlays. As you enter the foyer, you will see the art nook and warm inviting great room with gas fireplace and electric start! Look out the large picture windows and enjoy those special views of the Chapel area. The recently updated kitchen has new countertops and refrigerator. The master bath has also been recently updated with new countertops, shower and more. New tile roof and HVAC in 2015 and more upgrades in 2017! This home is turn-key and ready to move in. The master bedroom leads out to a covered porch through French doors. There are 2 closets and one is a large walk-in closet. This hallway leads to a 5 piece spacious master bath with separate vanity areas. In addition, there are two more spacious bedrooms, one has built in shelves. All rooms are accessed on a single floor. Observation deck is rooftop and there are six steps leading to entry of home. The French doors in the master and dining room have screens to circulate the fresh air and take advantage of the breezes. Besides have storage throughout the home and garage, There is a separate large storage closet and a laundry room which leads out to an oversized two car garage with a separate utility sink and large storage shelf. There is plenty of room to include a workbench or workshop. Did I mention the VIEWS! If you enjoy hiking there are numerous trailheads – Little Horse, Mystic, Cathedral giving access to Templeton, Twin Butte Loop, Chicken Point HT, Bell Rock Pathway, Llama, Courthouse & more! This property will delight you with all the decks, greenery, fruit trees and KOI pond with beautiful mature fish. This garden sanctuary has it all with upper and lower decks in multiple locations. It is a garden paradise! Enjoy your own backyard sanctuary on .41 acres in the heart of West Sedona in one of our most sought after neighborhoods. Savor the stunning views & sunsets from the great room, master bedroom & back deck of Capital Butte, Thunder Mountain, Coffeepot Rock and many more red rock formations, or view the top of the Airport Vortex perched from the front yard. Multiple skylights throughout create a light & bright main living area. Relish the lush back yard with koi pond, sitting areas (including a lower deck & upper deck), grassy knoll – pine trees, fruit trees, raised vegetable & herb gardens & flowers – that add to the feeling of your own private paradise! Features include 3 bedrooms, 3 baths, kitchen eating area w/views, office + walk out basement that includes large area that can be a media area, recreation room & more. No current image of 3rd bedroom or basement are present in photo carousel. Walk-out basement also has a workshop with bathroom, multiple rooms for storage, seasonal clothing, luggage, seasonal decorations and wine room/storage. Possibilities are endless. Street level living area is 2658 SF and walkout basement is 1472 SF. 1 Car Garage is attached to the basement level. Link for information on Koi and Koi Ponds. – This is not an endorsement of this website…just helpful information. With a rural feel, fabulous red rock views, yet so close to all the amenities of city life including 3 public golf courses, shopping, restaurants and other conveniences, this single family split floor plan with two bedrooms, two baths is positioned on .50 acres and offers great privacy. You can feel the peacefulness that being close to nature provides. 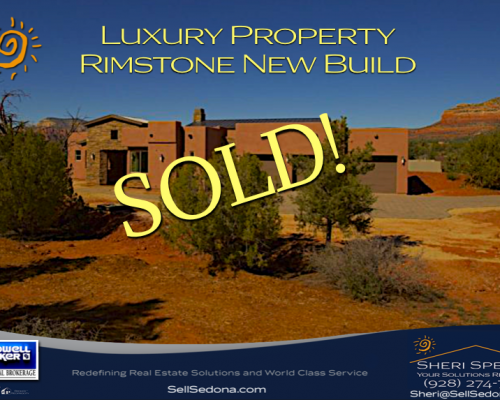 My buyer loved the privacy and red rock views that this home provides. He also appreciated the amount of storage available and access to a three car garage. Learn more about me and the….. 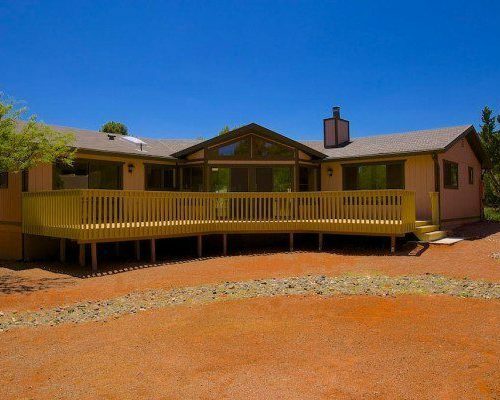 This Sedona home for sale is well laid out for West Sedona residents to enjoy time alone or with others. Built in 1989, it is 1994 square feet with 3 bedrooms and 2 baths. The kitchen has been remodeled and has new appliances, fixtures and fans. The views to Thunder Mountain are extraordinary and you can enjoy these red rocks from your private covered terrace. 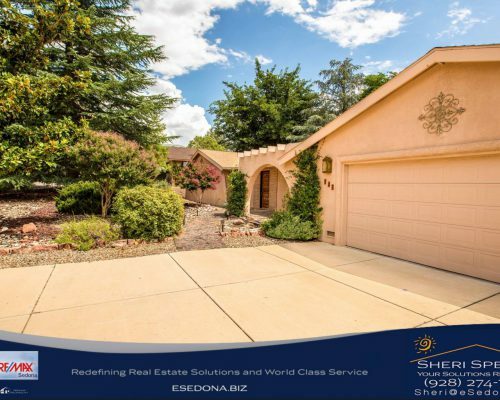 This home is centrally located in the sought after area of West Sedona and will spoil you with how close all the shopping and businesses are. Newer Build Custom Floor Plan & Luxury Amenities! This is a distinctive home with top quality amenities! 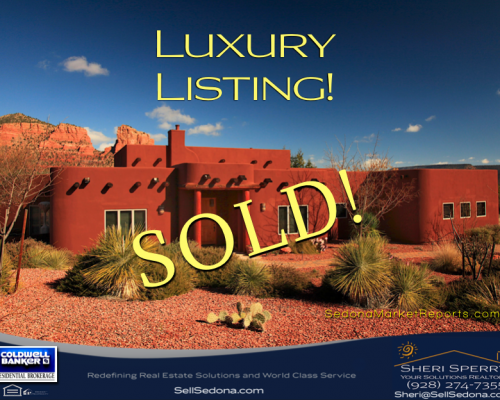 You will enjoy owning your piece of Sedona magic. In the heart of all the action of West Sedona. Imagine yourself sitting in your front courtyard relaxing in front of the gas natural stone fire pit. You are sipping your favorite beverage while you watch the sun set against the red rocks of Capital Butte, Thunder Mountain and Coffeepot Rock in the background. Afterword, you decide to cook a nice meal in your well designed efficient kitchen. There is plenty of counter space to cut up vegetables and prepare your meal. Your newer gas range has 4 burners, just like the chefs use to make sure every dish is prepared to your liking. You sit down for a nice meal at your dining table and when your meal is finished you bring your favorite beverage out to the landscaped garden area that is manicured to your liking and enjoy your beverage on the outside patio. If it is raining, that is OK because the patio is covered from the elements and can be used year round. Your outdoor lighting is magical and you enjoy the twilight as it slips away. After a nice relaxing meal you decide to enjoy your master retreat in front of your enclosed built in Napoleon fireplace, designed for ambiance as well as practical heating. You pullout your favorite book and enjoy the solitude of your private space. As you get ready for a restful sleep, you enter your Master Bath which resembles a spa. Your spa like bath has a tall ceiling, glass block enclosure for your walk-in shower and of course, an oversize tub. Your wash basins are works of art designed for your enjoyment and functional use. While nestling under the covers you decide to turn off the Master Retreat Fireplace with your remote control. 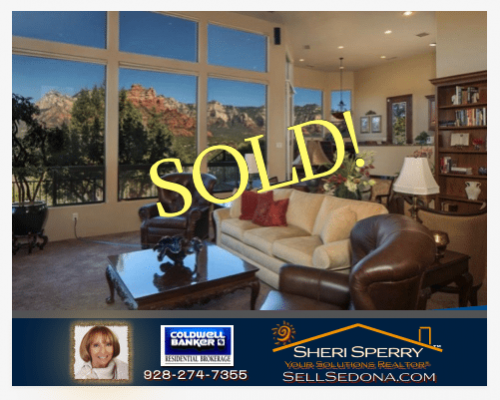 WESTERN HILLS – one of Sedona’s most popular neighborhoods – with VIEWS of Thunder Mountain & minutes from shopping, theaters & restaurants. This single story, 3 bedroom, 2 bath home with 1,856 sq ft has a great room that boasts of wood beam ceiling detail, wood burning fireplace, architectural niche, recently refinished Saltillo tile floors, shutters. Recently painted exterior & interior with so many possibilities. Ample yard on .27 acres so you can create your own garden retreat & sitting areas to capture fabulous views. Oversized garage includes new garage door & higher than average ceiling. Currently allow daily/weekly rentals. See POA for details. Great value & great location! APPOINTMENT – AGENT ACCOMPANY. Please allow 2 hours notice. This 2014 build is a custom Southwest style home with 3 bedrooms and 2 baths. The three car garage is a sought after amenity with many buyers. A brick paver driveway leads directly to the front patio entrance. Great room has a cozy fireplace which leads into inviting kitchen with rich cabinetry and large island touting granite counter tops and stainless appliances. The breakfast area is substantial and has a large area for dining and entertaining. Enjoy a large fenced backyard with a fire pit, landscaping and views. The master suite has huge walk in closet, dual vanities, jetted tub and separate shower. Other amenities include laundry room, art niches, skylights, garage with sink and sealed floor. Ready to rent out or move in! Chapel home at end of cut-de-sac with impressive red rock views. See what a house looks when two engineer owners remodel it – quality and details, practicality and beauty. Relax on your covered private patio and ponder the mystery of Cathedral Rock or view the Chapel Red Rocks from the front patio. Attractive new floor tile throughout entire home. Hickory custom cabinets and unique entry in the kitchen provide efficient storage. Granite counter tops with striking veins going through each slab. Convenient powder room off kitchen across from laundry. Casita is set up as multi-purpose structure. Header beam is in places that the window and door can be removed and replaced with a garage door. All improvements permitted by city. Oasis in the desert! 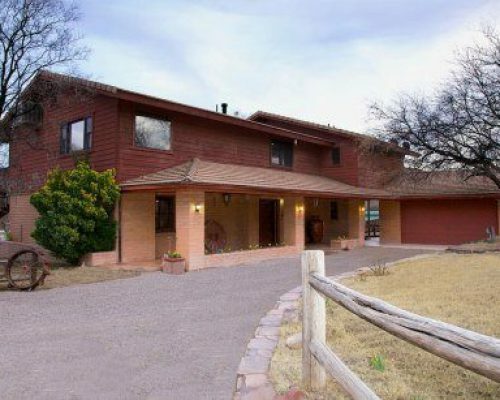 Custom Sante Fe style home on large lot in West Sedona. Close to hiking, biking, shopping etc. Highly upgraded with 3 bedrooms, 2 baths, huge kitchen with knotty alder cabinets, granite counters and SS appliances. Custom tile floors, Alder doors and trim, and wood floors in bedrooms. Nice and bright open floorplan. Huge covered front patio and fully fenced in yard with mature trees and vegetation, very private. Oversize, detached 2-car garage with workshop and 1/2 bath. Why build when you can have all this already done for you!! Three bedroom, two bath single family offering the best value in Las Piedras, ready for that perfect buyer. Tile roof, cathedral ceilings, designer paint throughout this gorgeous floor plan. It has an eat-in kitchen, breakfast bar, plus formal dining room. You will find custom wood shutters and blinds, new windows, new carpet and freshly painted inside and out. The landscape is drought resistant and easy to care for. Enjoy back yard entertaining in a large back & side yard with room for above round herb gardens. Freshly painted exterior in 2018, interior in 2016-2018. Most windows replaced w/ tinted windows that reflect infra-red rays. Cement tile roof had underlying material replaced and some tiles replaced in 2016. 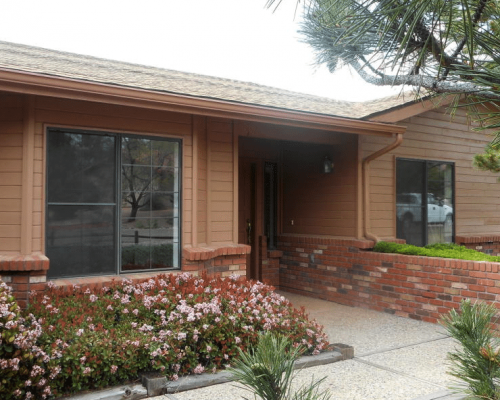 Location near 3 public golf courses, iconic hiking trails, & restaurants. VOCA 30 day minimum rentals. Choice Home Warranty in place. Make appointments through ShowingTime and allow at least 2 hours. 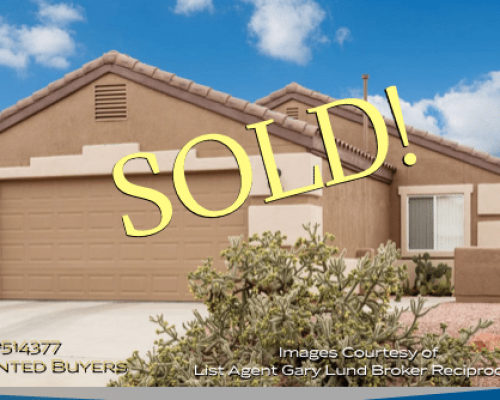 Verde Santa Fe – Arizona living at it’s finest in 55+ community near public golf course in Verde Santa Fe. Open floor plan includes spacious great room with fireplace and kitchen with eating area. Also includes vast cabinet space, granite, and deluxe gas stove. When building this home, the owner had many upgrades added inclluding screened in porch for added comfort, privacy and additional living area. Of the 4 bedrooms, two bedrooms are w/o closets that can be an office, exercise room, hobby area or guest accommodations. Master bath with additional upgrades. Some walls were bumped out, additional outlets throughout plus 4 foot wall outside garage for a pet. HOA dues include membersip to clubhouse, pool. Don’t miss this semi-custom home. 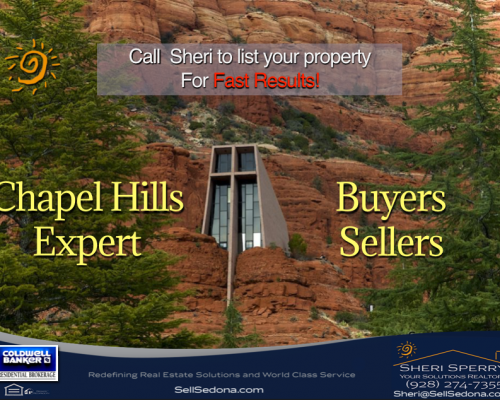 Chapel Hills Estates is one of Sedona’s very special & quiet areas with amazing views. 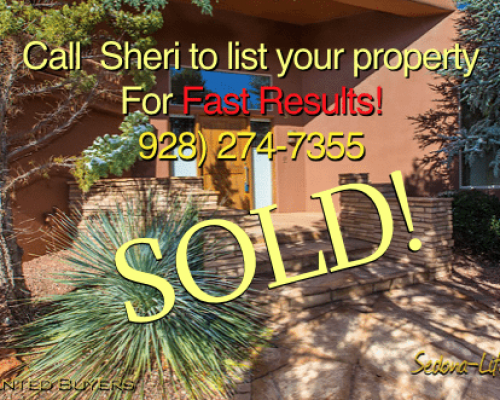 Sheri Sperry has helped buyers and sellers in Chapel Hills and her expertise of this area gives you an advantage. This Chapel Hill Estates area of Sedona offers many hidden gems with fantastic views. 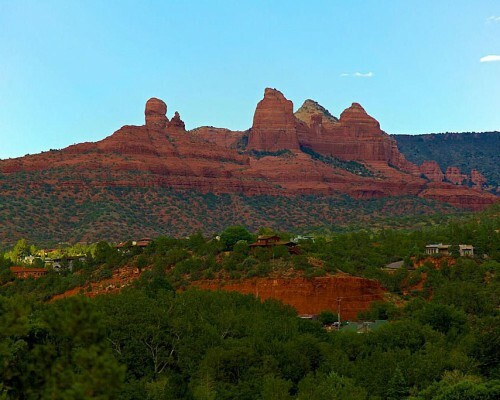 Several homes have views of the famous red rocks of Sedona including Cathedral Rock, Elephant Rock, the Chapel in the rocks, Madonna & Child, and the Twin Sisters. 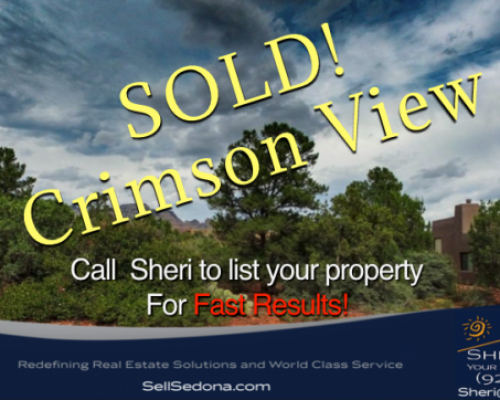 Before it sold, 11 Meadow Lark Drive was the lowest priced home in the Chapel area with icon Red Rock Views in all directions. 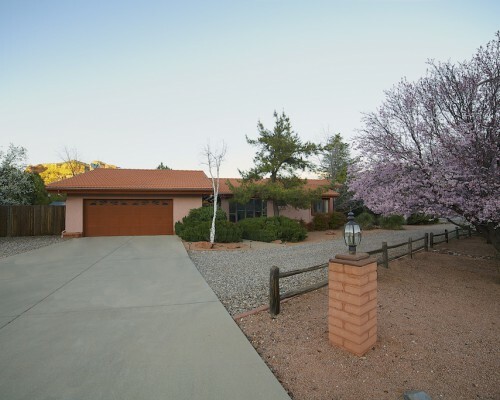 This 3-bedroom home is right between West Sedona & Village of Oak Creek. It is near hiking trails & some of the most beautiful scenery in Sedona. ON CITY SEWER. Freezer, washer, dryer in garage stay with home. This home is on a large lot with many possibilities. 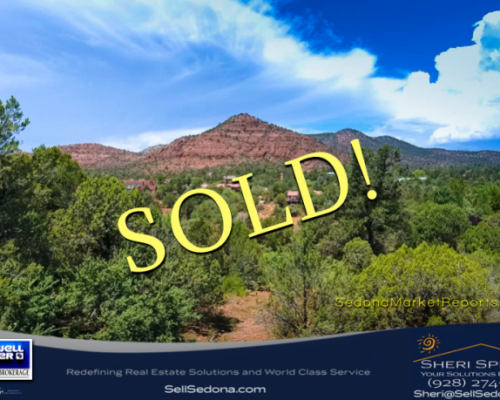 Don’t miss your chance to own a view property is one of Sedona’s mot special areas at an affordable price. Great Rental Property. This property has been rented in the past. Ask about rental history and check with your financial consultant. This Breckenridge model is very desirable because of the split floor plan. This home backs to open land with Mingus Mountain views. The rear of the Breckenridge model has an extended covered patio which is also an appealing feature along with those views. Last but not least, is the resort style clubhouse with exercise room, outdoor spa and pool. Home is move in ready and is perfect as a rental in a great neighborhood. Images courtesy of SVVAR Broker Reciprocity and Listing Broker. 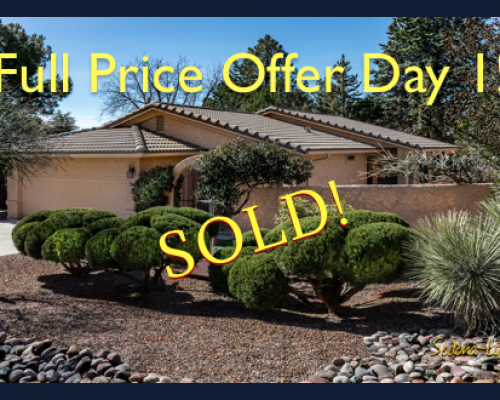 This property sold at FULL PRICE! Awesome views of Castle Rock from this .34 acre cul de sac lot in the Fairway Oaks subdivision near Oak Creek Country Club. 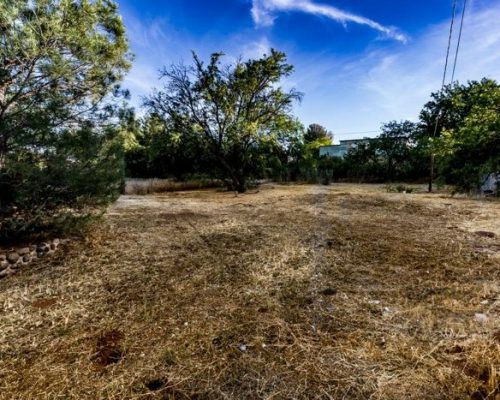 Build your dream home on one of the last vacant lots in this quiet and desirable area in the Village of Oak Creek. Enjoy abundant wildlife roaming on this gently sloping lot, yet close proximity to shopping, restaurants, golf, tennis. Buyer to confirm all utilities availability. This 2 BD, 2 Bath home is “whistle clean”. It eclipses the phrase “move in ready”! It was sold with all appliances included. The home has a neutral color pallet with ceramic tile floors and carpet t/o the home. The kitchen is designed for efficiency and there is a dining area that leads out to a spacious backyard. The windows are dual pane with sunscreens and Hunter-Douglas Shades which add to interior energy efficiency. The master bedroom has a walk-in closet and a full bathroom attached. 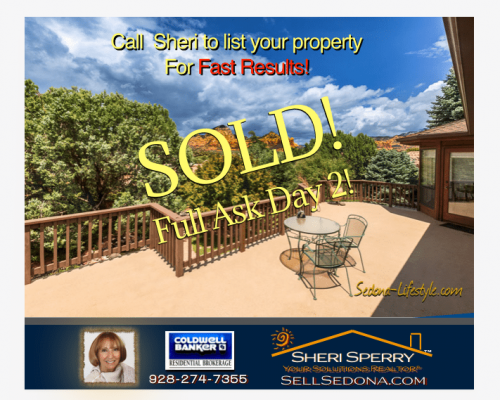 Sheri Sperry is relentless to help her clients find homes and other properties in Sedona, Village of Oak Creek Big Park, Pine Valley, Cottonwood, Clarkdale and Cornville. 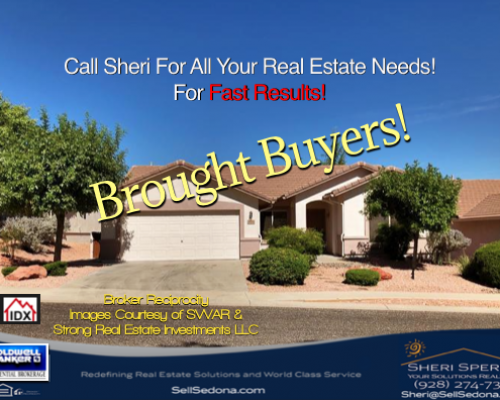 Sheri can assist you with any real estate question and guide you to make the right decision. 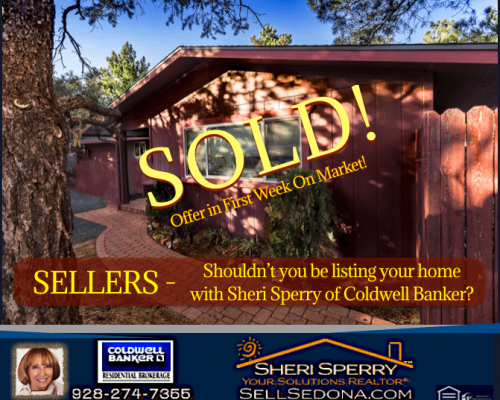 Call Sheri Sperry at (928) 274-7355 or select this to contact her. This single family home may be available to lease. Call Sheri Sperry for details. Opportunity to build a home in much sought after subdivision of Crimson View. Easy access to heart of West Sedona which includes shopping, movie theaters, restaurants, post office & more. VIEWS of Red Rocks. 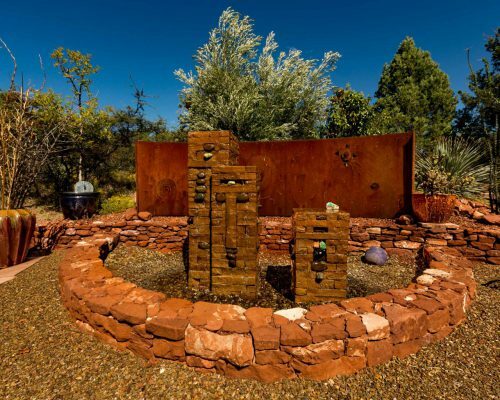 Located in West Sedona on .39 acre! Desirable neighborhood on a cul-de-sac, close to shopping & amenities. Front property views of Capital Butte, Coffee Pot, Chimney Rock, Mogollon Rim. Fairly level lot w/ survey & building plans in place. Review requirements for the build & a need for a cluster system. Located in a great neighborhood with easy access to shopping, restaurants and entertainment. 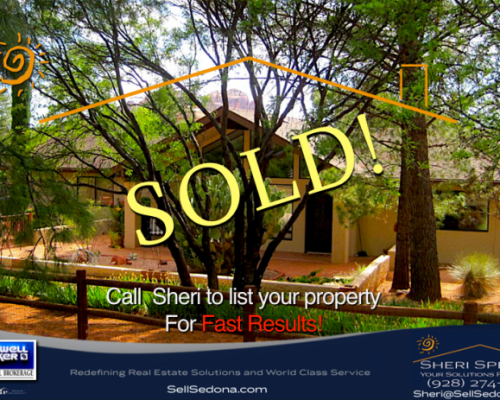 There are not many lots left in Wes Sedona on .39 acre with views as a bonus! Survey has been completed and house plans are available. Ground View Video 325 Mission Drive Sedona AZ ~ Lot For Sale from Rick-Sperry on Vimeo. ESTATE SALE. Priced BELOW March of 2016 appraisal. People buy postcards and very expensive art showing what you’ll enjoy every day out of your living room windows! You get Courthouse and Bell Rock, big as life! You’ll also enjoy a comfortable, roomy home with an amazing privacy-fenced back yard that also basks in The Red Rocks. 3 bedrooms (or 2 with an office), sunken living room, real wood burning stove, enormous deck with built-in BBQ, mature trees and landscaping. Attached 2-car garage, big rooms, lots of windows, awesome neighborhood! Home will appreciate some updating, appraisal and price both reflect this. An updated home of this caliber with this location and view would sell for WAY more! 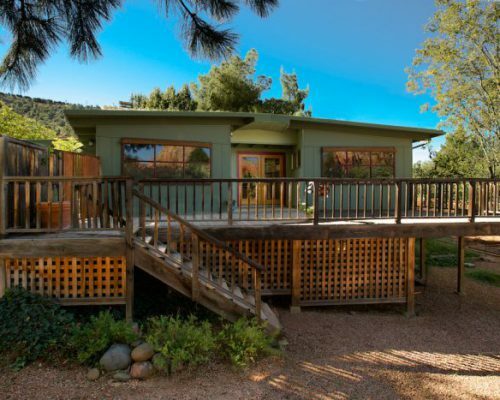 This adorable Frank Lloyd Wright style Cottage is Sedona from another time. Attention to detail includes the beautiful vaulted wood ceilings which were carried throughout the house and to the side patio. Bathrooms updated in 2010, newer appliances in 2013, new evaporative cooler in 2014. 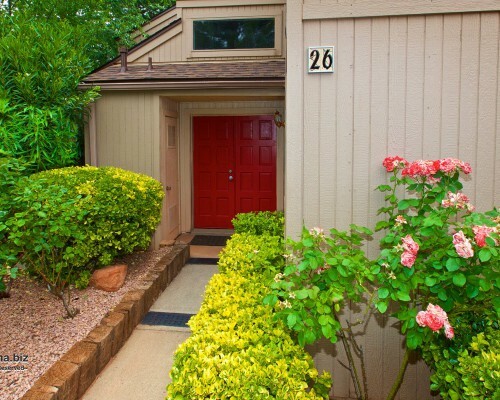 Located in the heart of West Sedona with easy access to shopping & theaters. There is a partially finished walk-out basement (which is heated & cooled) for a workshop, potting shed, art studio + organic gardens, mature vegetation, privacy & shade. Views from the deck! This eclectic neighborhood lends a special feel to this house that exudes charm & touches that are rare today. Cathedral Vista – Beautiful setting, surrounded by junipers & pines with an opportunity to build in a location which has a rural feel, yet is short distance to Oak Creek, Red Rock Crossing & historic Crescent Moon Ranch. Perk test & survey completed. Contractor had already sketched lay-out for future home. Road leading to property is a county paved road. This property borders 2 roads. The lower road leads directly to Red Rock Crossing. This is a very special place – just a short distance. Charming and beautifully maintained home in prestigious Pinon Woods. Exceptional location among much higher priced homes. Excellent floor plan with split bedrooms, high ceilings, fireplace in living room and attractive outdoor living. Put your own stamp on a vintage home in the coveted Chapel Hills area. Front of home has view of Elephant Rock, which makes this so special. This is a 3 bedroom home with 2,064 square feet and a 2-car garage. Once updated, this will be a true gem. It is a quiet area with abundant nature, close to trails with views of Cathedral Rock and peek-a-boo views of Bell and Courthouse. 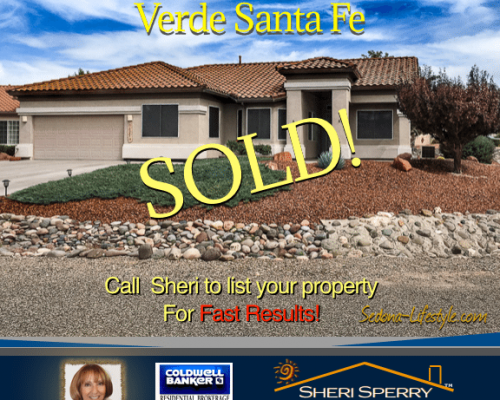 Note: Sheri represented the buyer and the seller and has at least 8+ transactions in this area. This is a perfect home for a first time buyer! This home is move-in ready. Nice ceiling height and open floor plan adds to the spacious feel. Living area continues out the sliding glass doors onto the tree lined, covered patio. Kitchen has generous counter space, breakfast bar, and built in pantry. Master bedroom offers plenty of space for a sitting area etc. Attached garage has abundant storage too. All this comes with convenient access to shopping, entertainment, medical, etc. 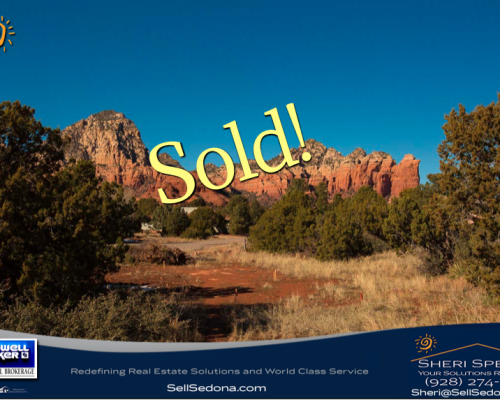 This is a prime West Sedona location right off Soldiers Pass and the 89A. It is located close to shopping, restaurants and medical, dental and eye doctor offices as well as other professional services. Contemporary grey color palette and move-in ready. This 2 level townhome has lovely upgrades, large back patio and is a COVETED END UNIT – private and quiet. Large owners suite with 2 closets with jacuzzi tub and separate shower, recently upgraded. Community includes pool and clubhouse. 2845 S Sexton Ranch Rd Cornville AZ Ranch for sale located in a gated, private setting (only 5 homes behind gate) near Oak Creek with 4.95 acres & GRANDFATHERED WATER RIGHTS This could be your own retreat or a ranchette that the entire family & friends could enjoy during those hot Phoenix summers. Organic garden & 2 separate buildings + an old cold storage cellar. Large country kitchen. Two large master suites w/ huge walk in closets, ample sitting area & light through multiple windows. Master on North side w/ recently updated bath includes travertine floors, beautiful dark carved wood vanity, granite top & double basin including separate tub & shower…. Located on a quiet cul-de-sac street with views, nestled near the golf course, you will enjoy the serene atmosphere the area provides. As you enter the great room, you can’t help but notice the beautiful wood cathedral ceiling that has been hand oiled prior to putting this home on market. The home has a brand new full length deck off the rear of the home which features the views of Castle Rock and peek-a-boo view of the golf course. In addition, each bedroom has a walk-in closet. With small ravine to the back, be entertained by a multitude of beautiful birds off the back deck while enjoying your morning cup of coffee. Make this your own by updating and adding new carpet or other flooring! Current roof has been prepped for new roof installation & estimates have been done. This cozy home has plenty of RV parking with a pass thru driveway. The entire inside of the home has been repainted in a neutral color. The full deck in the back has also been completely repainted. This deck has great red rock views with lots of privacy. The kitchen was re-modeled in 2010 and is designed with a Kiva fireplace in the eating area. There is also a hobby room right off the kitchen. This room could also be used as a formal dining room as well. Plenty of rooms and nooks to get away for a little privacy. 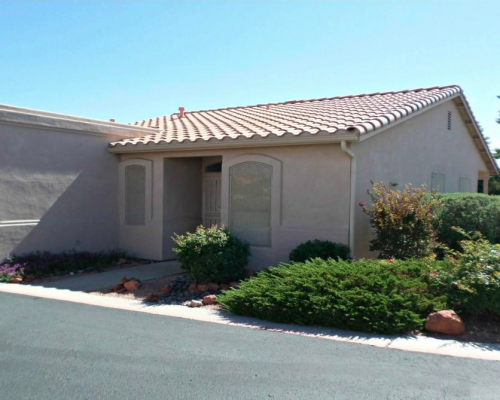 Rare 3 Bedroom, 2 Bath lower corner unit, close to tennis courts, Jacuzzi and smaller pool. Plenty of open space between G-8 and building behind, almost park like. 3 patios: Great-room, MBR and Bedroom 3 is being used as a den. Light and bright with plenty of windows. Security screens on doors, inc. sliders. Wood faux blinds. Wood burning fireplace with brick surround. You can’t go wrong with this custom West Sedona home for sale and it’s tasteful appointments and custom “tricked out” features. Notice the view of Capital Butte through wall to wall windows and 10 ft tall sliding patio doors in great room. Enjoy multiple serene private patios. Envision yourself sitting on one of many patios taking in the sounds of water flowing through the custom water feature while you sip on your favorite beverage. As you look up, you see the sights of Capital Butte and remember what brought you to this special place. Price reduction is based on asking price of $540,000. Seller is motivated. 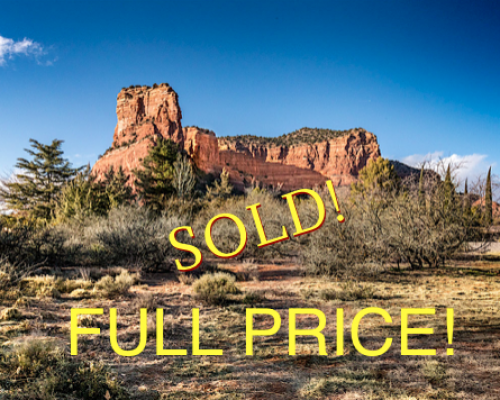 This is an opportunity to build in West Sedona with majestic Red Rock VIEWS such as Capital Butte. Gently sloping lot which also backs to HOA common area, offering a little more privacy. Close to shopping, grocery stores, restaurants, medical facilities, & theaters. If you like to hike, there are trails also nearby. Desirable neighborhood and not many lots left that offer the ability to be close to everything. Check with city and CCRs regarding building requirements. 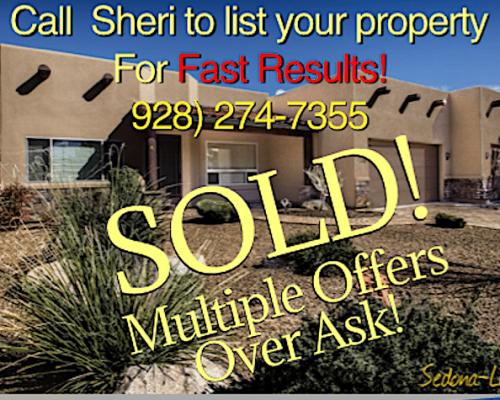 This is a small example of what Sheri Sperry can do to enhance the listing of your property. Verde Santa Fe Gated Golf Community of Amante. Only 30 minutes to Sedona. Neutral color pallet, modern floor plan with 3 bedrooms and 2 baths slab rear patio and easy-care landscape. This home is close to big box stores in Cottonwood – just lock and go. Investors: Ask for details, as tenants would like to stay. One owner is a licensed California Realtor. This 4 bedroom, 2 ½ bath Cornville home for sale located at 11050 E. Old Schoolhouse Rd Cornville AZ, is just a few minutes from Page Springs Wineries, surrounded by BLM land on two sides. Enjoy this lovely, well kept 4 bedroom home on one level with an open floor plan, full length deck and views of meandering land & beautiful dark skies at night. There are two additional buildings; one is a game or bonus room with separate air and heat. This building can easily be configured for any purpose you desire. The next building is set up as a storage workshop shed. There is electricity to this building with outside plugs as well. Kitchen appliances are top of the line stainless steel. You can mark off plenty of counter space and storage cabinets. There is even a island to help with planning meals or entertaining. Dormer window in family and living rooms make it light and bright. with a fenced in back yard and area for small pets to be secured outside. All in all, you are going to love this well maintained home, the peaceful quiet area, with plenty of rural views, loads of parking for any vehicle. You are close to wineries, the Fish Hatchery and Audubon Birding area. You can even follow the wash for a short walk to Oak Creek right from your property. Sedona AZ 86336. Mulit-level, sloped lot tucked away in private area with creek access. So many possibilities on this lot which is .28 of an acre. Take the steps to the top & soak in that 180 degree view of Brins Mesa, The Fin, Ship Rock, Snoopy Rock, Schnebly Hill. Minutes from Uptown & W. Sedona, yet that rural feel. 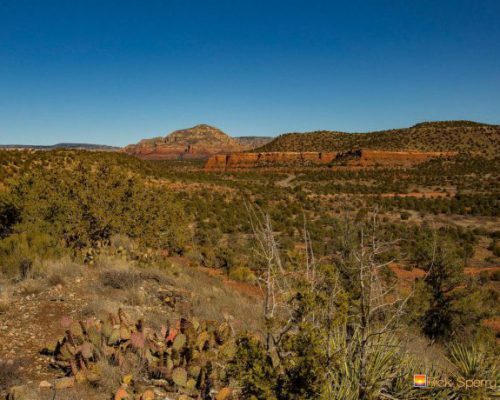 Red Rock View Acreage – Hilltop – SEE AERIAL VIDEO – Rare opportunity to own 5.71 acres in Sedona, a short distance from the center of town. This property is an outstanding value with these views. Fabulous 360 degree vista from the top of the hill, including Capital Butte & Mingus Mountains! Part of a larger parcel homesteaded by the owner’s great-grandfather. Ask agent for info regarding non-warranted items – well, survey & mobile home. Property sold ”as-is”. At $400,000, that is approx. a little more than $70,000 an acre. Property like this (5.71 acres with views), so close to the center of town is hard to find….if at all ! Flat lot on corner. Easy access to I-17. 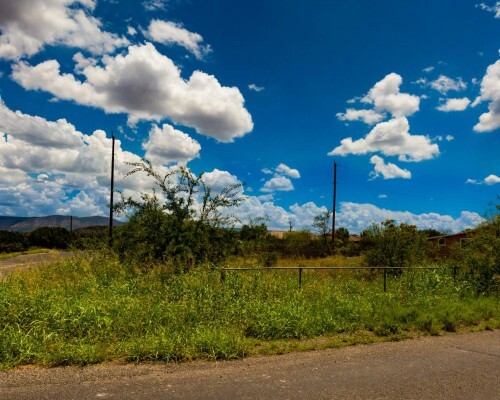 Great possibilities & near new Verde Valley Medical Center satelite office and other amenities. Directions:I-17 exit 293 toward McGuireville. Rt on E. Cornville Rd., slight L. onto E. Beaver Creek Rd. L. on E. Beaver Creek Rd., slight R. onto Montezuma Lake Rd. L. on E. Cliffside Trl, R. on N. Pine Dr.
Karlson Lot Cornville – Want to get away from the metro areas? Don’t miss a chance to own your own lot in a rural setting of Cornville. This land is still close to the metro areas where big box stores are located in Cottonwood. There are also many restaurants as well as medical offices and a medical center close by. 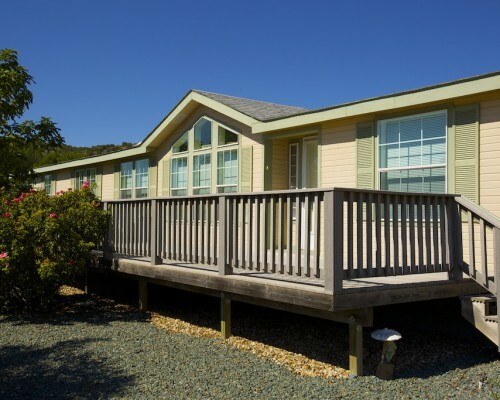 Place a mobile home or manufactured home in Lower Oak Creek Estates. Please note that septic and mobile home were once located on lot and removed by the county. This is a legal non-conforming lot area according to Yavapai County.